Scottish artist Ann Wegmuller RSW RWS (b. 1941) is known for her bold use of colour and evocative compositions, often of the Scottish countryside. 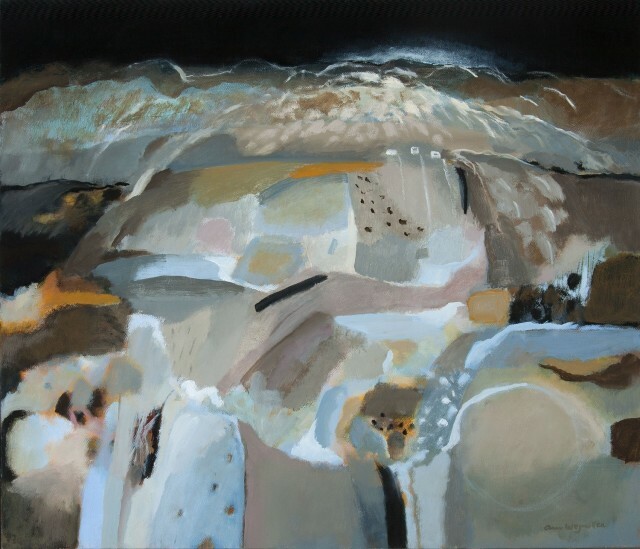 These always use a skilful degree of abstraction, helping in her quest to convey the feelings and memories of place, and letting us see a deeper magic that is always there within the land. “Colour is very important to me. It is probably the subject of my paintings. The painting itself starts from my feeling for a place and the colour is the mood. It is like music: different sounds are like different colours. Each colour has its own beauty and strength but can be enhanced or toned down by another colour. The excitement for me comes from doing the unexpected with this. Ann Wegmuller was born in Gourock, near Glasgow. She was based in Zurich during the 1960s and now lives and works in Perthshire.